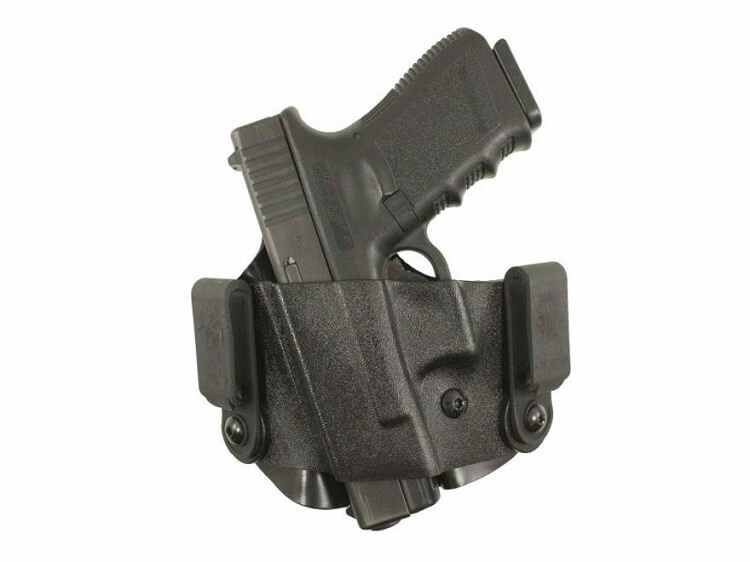 Individuals primarily purchase Glock holsters for conceal-carry, open-carry, competition or as part of a uniform. Needless to say, the holster selected will be as unique as the weapon you use. Regardless of the need, it is essential the rig fits the body well yet delivers peak performance every time the weapon is drawn. Following are reviews of the top 6 options that are sure to meet any needs along with price ranges and some important information related to use. For a durable, simple, no-nonsense yet lightweight IWB holster with a low profile at a price that can’t be beaten, look no further. It’s made of Kydex, a very thin material, so it can be concealed inside the waistband and secured with a small J-Hook that keeps it in place. The overall weight is around two ounces. For those that require increased durability and an upgraded ergonomic clip that can be worn either as an IWB or regular, paying slightly more allows you to attach and detach the holster quickly and easily. It is important to note that when worn as an IWB, right-handed shooters need to order the left-handed version and vice versa for left-handed individuals. The $40 version is specifically designed for semi-automatic handguns yet also fits handguns built with Polymer 80. This maintenance-free model never collapses and permits a fast, easy single-handed re-holster. It can also be molded to accommodate a light or laser and is an excellent choice for competition. Price: $30, $35, or $40. Discretion is the key to the versatility and style of the Original Belly Band. Whether dressing up for the office, working undercover or just going to the gym the Belly Band ensures total concealment and comfort. It’s made in the US with two ambidextrous slots that accommodate a revolver as well as an automatic pistol. Additionally, a six-inch slot provides access to a spare magazine, important papers, credit cards, cash or anything else that the user requires at a moments notice. Best of all it’s made of 4″ surgical grade elastic and is machine washable. The Original Belly Band Glock holsters are an ideal choice for small and medium frame revolvers as well as semi-automatic pistols. The Glock 17, 19, 21, 22 and all the mini-Glocks fit snugly into the Belly Band as do SIGs, Berettas, and the 1911. One can achieve complete concealment by wearing a loose sweater, shirt or jacket over the rig. For Glock holsters second to none, the Bugbite ankle holster provides the comfort and concealment desired in many lines of work. 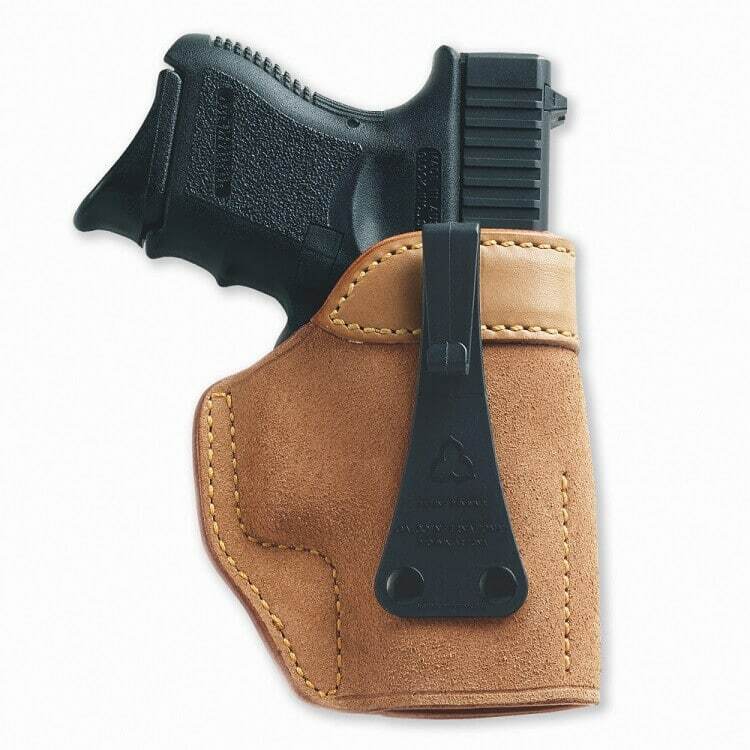 Free of velcro straps, it is one of the few silent-draw holsters on the market today. It fits any small or medium-sized handgun along with a backup magazine. Best of all, it conforms to the leg in such a way as to reduce awareness of its presence. Due to its construction users need to be aware that proper measurement of the calf is essential for correct sizing. 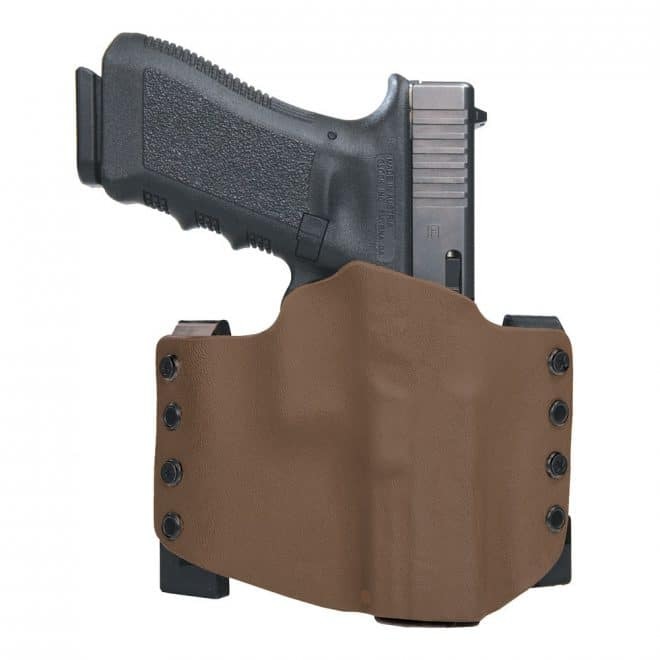 One of the best side concealment Glock holsters on the market today is the Scorpion II. They are molded from genuine Kydex. This makes them strong and durable yet lightweight. One-handed reholstering is possible through a design that includes a top flap that remains open after the weapon is drawn. It also features a tuckable 360 C-Clip, permitting the user to adjust cant and height when in need. An optional J-Clip, however, is also available for those that prefer an alternative. When it comes to deep undercover work, concealment can make the difference between maintaining a hidden identity and revealing yourself. The Ultra Deep Cover holster is constructed of horsehide with the rough side out so that it grips the pants. With the smooth side encircling the weapon, a faster and easier draw is possible. The Ultra Deep Cover holster is designed for use with a maximum 1-1/4″ belt and is enhanced with rail stitching, giving it a look that’s straight out of the old west. The design ensures the protection of both the weapon’s sights as well as the holster itself. Additionally, a third generation J-Hook with a streamlined design allows attachment either behind the belt or over-the-pants band. For those seeking to improve their scores at the range and in competition, few Glock Holsters can beat the Battlebelt Complete. Designed with a padded, adjustable belt the modular lightweight load-carrying equipment (MOLLE) loops allow users to secure a weapon. Two magazines to reduce the need to stop the action in order to gather more supplies. The feature is standard in competition rigs. 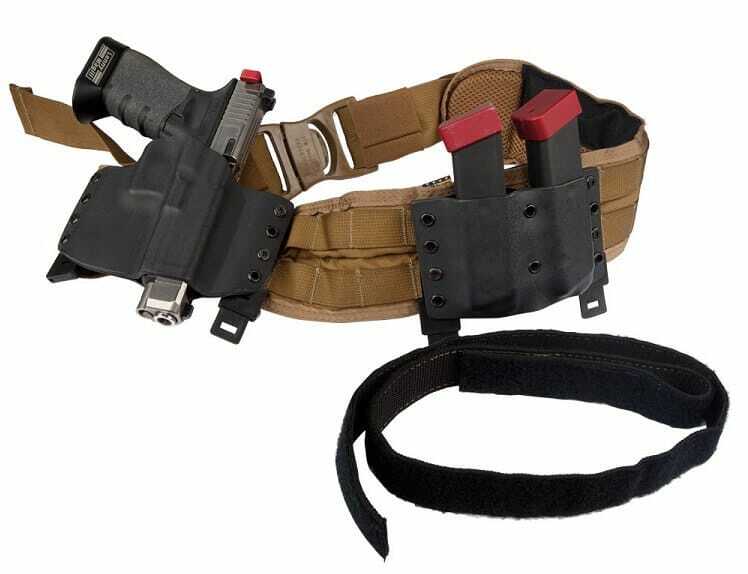 The Battlebelt, however, is a higher quality version of standard competition holsters; the rig is founded on an extremely sophisticated hook and loop attachment scheme. The loop side of the belt, or inner belt, secures to the pants by the belt loops. 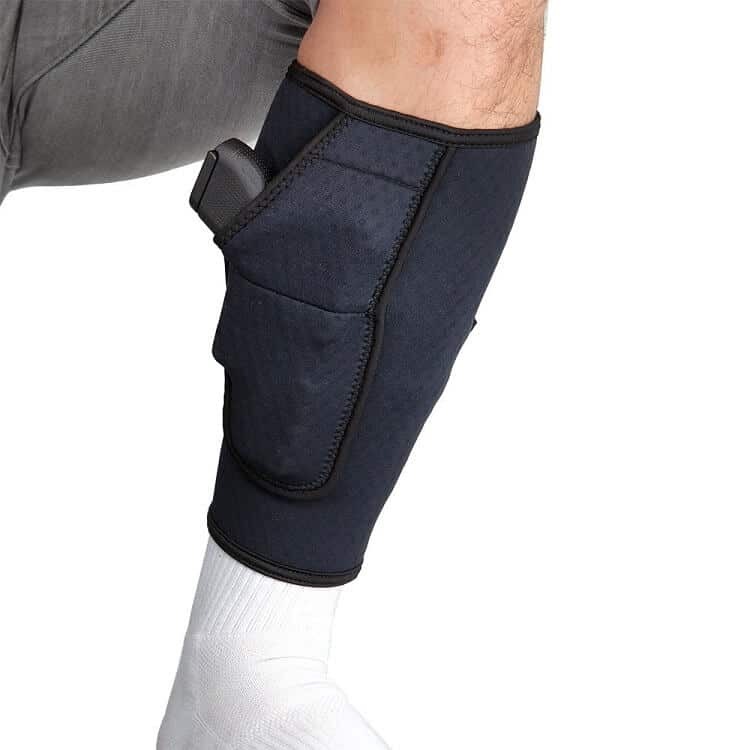 It fits snugly to the body to prevent slippage which is essential in a competitive situation. 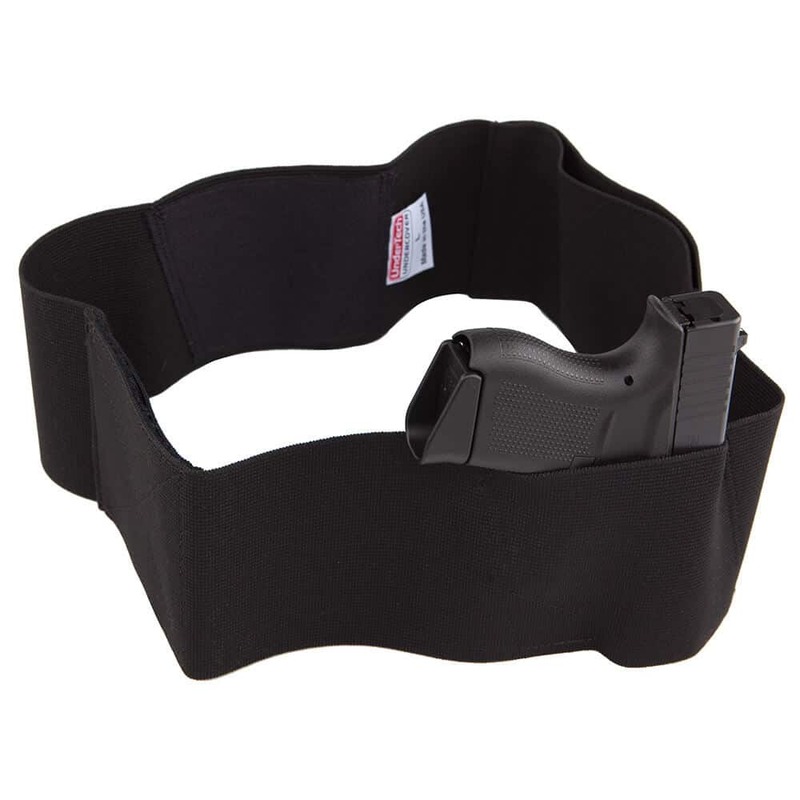 The outer or holster belt, on the other hand, can be removed and reattached within seconds because it attaches firmly into the back of the rig. The design is unique to Glock Holsters. The Battlebelt is available in either coyote brown or black with the holsters in black, red, or coyote brown. Innovation, pushing the envelope and advancing new ideas are the hallmark of Glock holsters. Their quality, construction, and functionality set them apart. Best of all, regardless of your budget, the perfect rig is just a click away. 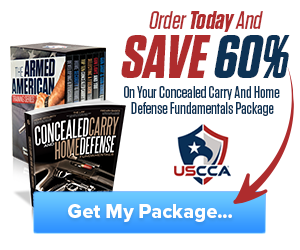 Hey Buddy!, I found this information for you: "Top 6 Glock Holsters and Tips for Best Use". 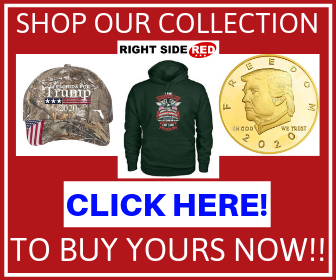 Here is the website link: https://thegunrights.com/glock-holsters/. Thank you.